The Gulf Oil Spill Remediation Conference, an 11 month-old International Citizens’ Initiative, is filing criminal charges in Tallahassee, FL against Ian Crane, a former Schlumberger oil executive. The GOSRC has forwarded the original email to authorities in which Crane admitted to taping the former National Coordinator without his knowledge or consent. Crane’s subsequent suspicious actions and dubious correspondence concerning the Gulf Oil Spill have caused many throughout the GOM citizen’s movement to question his motives and agenda, and therefore compel us to file these charges. Ian Crane currently poses as an advocate of sorts whereby he often places the full responsibility of the BP Gulf Oil Spill at the feet of BP’s Robert Kaluza. Crane’s former employer, Schlumberger, the world’s largest oilfield services company that worked on the Deepwater Horizon in the Gulf of Mexico, “says its crew left the Horizon on the day of the fire”. As an ex-oilman, Crane has adopted a pattern of behavior in which many sincere Gulf advocates, who do not wholeheartedly join his cause, have become subjected to completely untrue and unwarranted derogatory statements, as well as a continuing barrage of ad hominem attacks. 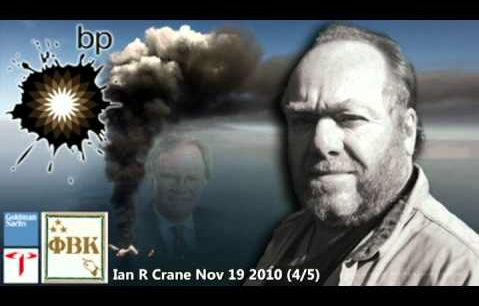 By several accounts Ian Crane has teamed up with an internet writer, Deborah Dupre, who has likewise used her writing platform to vilify and persecute some of the most courageous heroes of the Gulf Oil Spill. 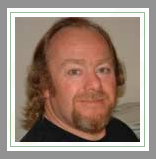 Dupre writes for Examiner.com which began a partnership with Thomson Reuters in the City of London, England. Reuters corporate headquarters is located approximately one tenth of a mile from BP corporate headquarters in London. Crane’s media outlet is located in Devon, England. Dupre and members of her family also reportedly take stipends from oil transport companies which run pipelines over their respective properties in Louisiana. She has followed a very similar pattern of conduct to Crane in which those with whom she disagrees become the object of her libelous articles and slanderous radio interviews. Countless members of the vast network of BP oil spill have been shocked and mortified by her many unsubstantiated and groundless allegations which are found in her many ludicrous articles. Both Crane and Dupre have been relentless in making patently false accusations against very hard-working individuals who have literally sacrificed their lives in the interest of advocating for the Gulf of Mexico and the coastline residents. Their MO consists of labeling anyone who runs amuck with their agendas as either “controlled opposition” or infiltrators. Many have expressed a total intolerance of their constant baseless and scurrilous attacks on good, well meaning people. Please understand that this press release is being issued in the interest of warning all concerned parties of Ian Crane’s ongoing unethical behavior and illegal actions. He has likewise been reported to the Tallahassee Police Department and the Florida Department of Law Enforcement. Formal complaints are being filed with the Florida Attorney General’s Office, as well as the State Attorney’s office in Leon County, FL.